A man who has been missing for almost five weeks has walked into a police station. 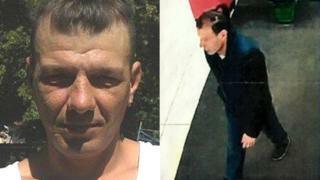 Marian Pavel, 45, was last seen in Huntly on the evening of Wednesday 20 February, near the Dean's shortbread factory on Steven Road. Police Scotland divers and dogs were used in the search and a CCTV image of Mr Pavel was released. But Insp Matt Smith, who led the investigation, confirmed the Romanian national had now been traced. He said: "Marian attended at a local police station earlier today to confirm he is safe and well and officers are providing appropriate support. "I am aware that numerous members of the public assisted with our enquiries and searches to help find Marian and I would once again like to express my thanks to you for your help."